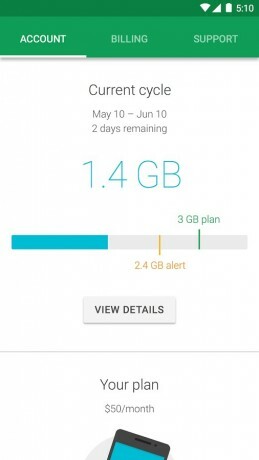 Google has updated its Project Fi app in order to take advantage of cellular coverage offered by U.S. Cellular. Earlier this month, Google said it planned to supplement Project Fi's coverage with U.S. Cellular. The freshly updated app allows Fi subscribers to capitalize on that expansion. Project Fi already relies on Sprint and T-Mobile for cellular connectivity, and automatically connects to the strongest signal. U.S. Cellular provides LTE service in 23 states, mostly in the Midwest, which improves Project Fi's overall footprint. Google claims its dynamic network-switching technique provides customers with a cellular connection 99% of the time they are using their phones. Project Fi also relies on WiFi. The Project Fi app is free to download from the Google Play Store, but the service is only available to select Nexus smartphones.